In the U.S., many are preparing for Thanksgiving and eating their turkey. 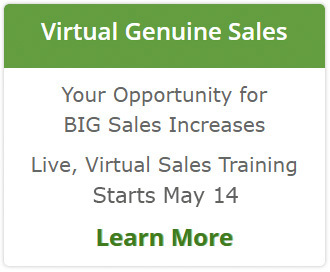 But at this time of year, if you are in sales, you might get better results by preparing to eat a frog each day! It’s the quote that author Brian Tracy has worked into his practical tips on how to stop procrastinating and get more done in his book, Eat That Frog! There is no better time to adopt some of the ideas than TODAY! You have 40 days left in 2011 – even with the holidays and weekends, that is a LOT of time to get more done, achieve what you can this year and set yourself up for success in 2012! Clarify what you want and the steps to achieve it. Plan every day in advance. Focus on KEY activities – ‘resist the temptation to clear up the little things first’. So, what are some practical ways to take this actions? Make a list! Whether it is on your phone, computer or the back of an opened envelope – write down what you want to do and some specific actions you will take each day this week. Refer to the list often to confirm what you committed to do/focus on for the day. Every morning re-write your list of actions – you will quickly see which ones you are procrastinating on. I still put pen to paper for my list. the redundancy of writing certain items 3 days in a row, makes me take action so I don’t have to write them again tomorrow! Be proactive. I’ve found that my first two hours of the day are most productive as I am not interrupted yet by everything and everyone. If I focus on the tough stuff, it is done and the rest of the day fills quickly. 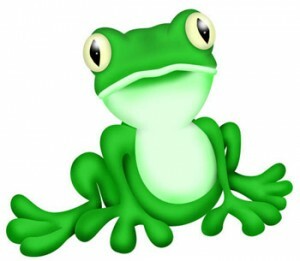 Find a stakeholder or ‘frog buddy’ – someone you can report in to each day once you have eaten the BIG frog of the day. It will add some fun and accountability. If you think you aren’t a procrastinator, I dare you to think about ANYTHING that you know should have been done in the last 48 hours that still isn’t done (taking out the trash, making a call, sending a note to someone, completing an item, etc.) I bet there is something you have not taken action on. Picture your frog – is it cute like the image on this post? Or is it a swamp frog, with warts and such? It doesn’t matter, identify the frog you need to ‘down’ and get it over with already! Love the Mark Twain quote. Yes I find it more productive to make a list then strike off achievements throughout the day. It also helps to have a partner who will motivate you with subtle reminders about doing things if you don’t do lists.